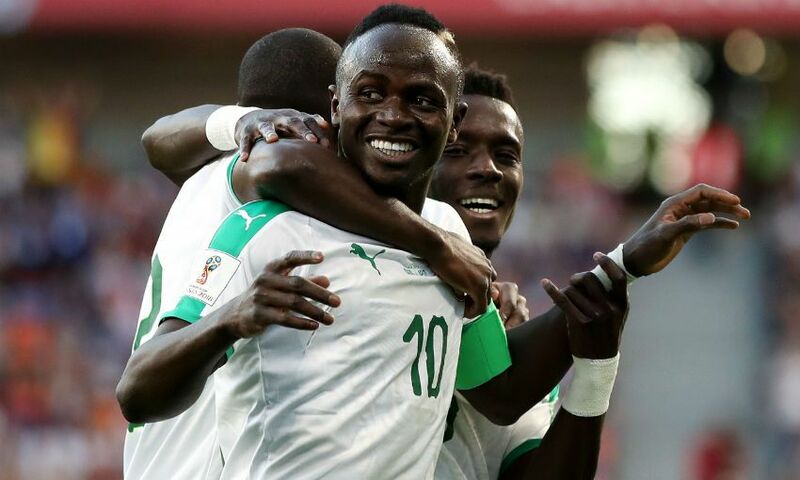 Sadio Mane opened the scoring in Senegal’s 2-2 draw with Japan at the World Cup on Sunday. The Liverpool forward captained his country in Ekaterinburg and gave them the lead in the 12th minute, when Eiji Kawashima’s parry from Youssouf Sabaly’s shot rebounded off his shin and in. Takashi Inui curled home an equaliser for Japan before half-time, before Mane played a part in Senegal’s second goal, scored by Moussa Wague with 19 minutes to play. At that stage, Mane and his teammates were on course to take charge of Group H with two wins from two matches, but Japan substitute Keisuke Honda slotted home a leveller to ensure the sides sit joint top of the pool with four points apiece.